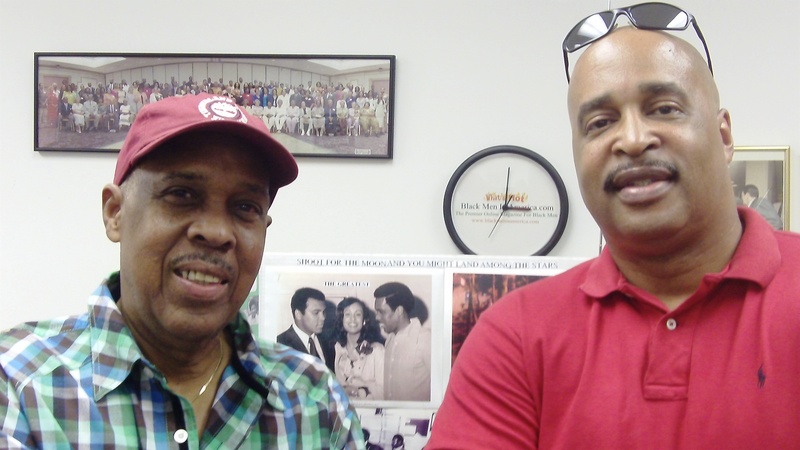 By Gary A. Johnson, Black Men In America.com (Harold Bell and Gary Johnson at the Black Men In America.com office). Native Washingtonian and former radio and TV talk show legend Harold Bell is sharing his archives of celebrity interviews with the world for Black History Month via his website and YouTube channel. Throughout the month of February and throughout the year, we will support Harold Bell by promoting his efforts to share these classic interviews with legendary and iconic sports and political personalities. For those of you who are new to town and unfamiliar with Harold Bell, the following narrative on Harold by the late great Bert Sugar, tells you just about everything you need to know about the legendary Harold Bell. Harold, is a pioneer in sports talk radio and television in DC. He has interviewed hundreds of leading sports figures from “A” to “Z” the list, includes Muhammad Ali, Hank Aaron, George Foreman, Red Auerbach, Jim Brown, Johnny Sample, Dave Bing, Jimmy Connors, Andre Agassi, Don King, Clarence “Bighouse” Gaines, Angelo Dundee, Earl Monroe, Sugar Ray Leonard, Gary Williams, Earl Lloyd and Chief Zee (Redskin Hall of Fame mascot). He has always delved into their personalities with the eye of a reporter, never the “Fluff” of a talk-show host. No topic was ever out of bounds. His credo “A lie will change a thousand times, but the truth never changes,” says a lot about his talk show format. Harold Bell’s Up Close and Personal interview with Ali in 1974 on NBC WRC TV 4 is a masterpiece. The interview reveals every side of Ali, his funny side, serious side and controversial side. It is an interview of how we all would like to remember Ali before Parkinson’s disease robbed him of his ability to speak. As an advocate for youth he is second to none. His community involved projects are now being implemented by every pro sports franchise and media outlet in America. Harold Bell has been honored at the White House by President Richard M. Nixon and on the floor of the House of Representatives on 3 different occasions for his work with at-risk children by Lou Stokes (D-Ohio), Bob Dole (R-Kan) and Eleanor Holmes Norton (D-DC). 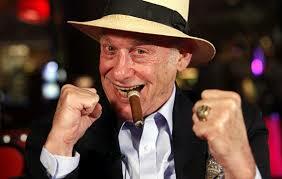 He was the first sports media personality to be named Washingtonian of the Year by Washingtonian Magazine. This book covers all the bases, politics, media and the business of professional sports on and off the field. All I can say is fasten your seat belts “From the Out House to the White House to the Legends of Inside Sports” will be an interesting ride. The late Bert Randolph Sugar—is in the Boxing Hall of Fame. He is a boxing historian and a former boxing analyst on HBO television network and the author of dozens of books. Click here to visit Harold’s website. Click here to watch Harold’s latest video on YouTube. Hey Buddy!, I found this information for you: "Harold Bell Shares His Archives For Black History Month". Here is the website link: https://blackmeninamerica.com/harold-bell-shares-his-archives-for-black-history-month/. Thank you.